This space saving humidifier could very well be the best thing that has ever happened to your cigars! 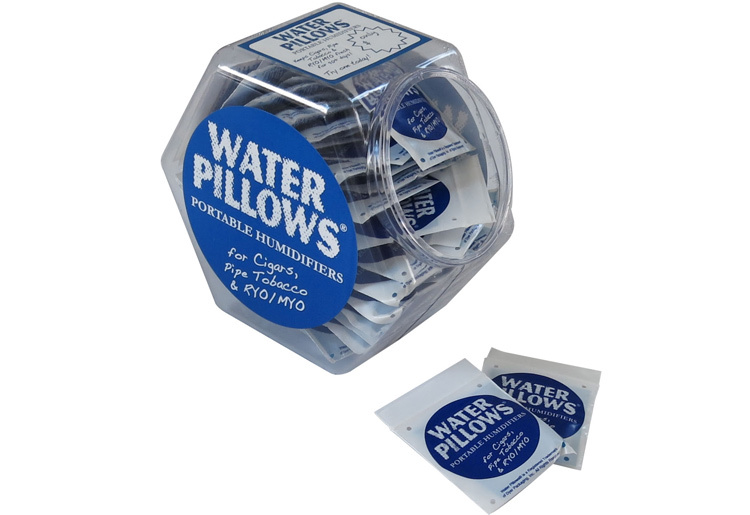 Each Water Pillow is set inside a ventilated zip lock pouch and is packed with water absorbing crystals and charged with distilled water. Pre-charged and ready to use! Simply place the entire zip lock pouch as shown above into your humidor or travel case for a quick and easy humidification solution. 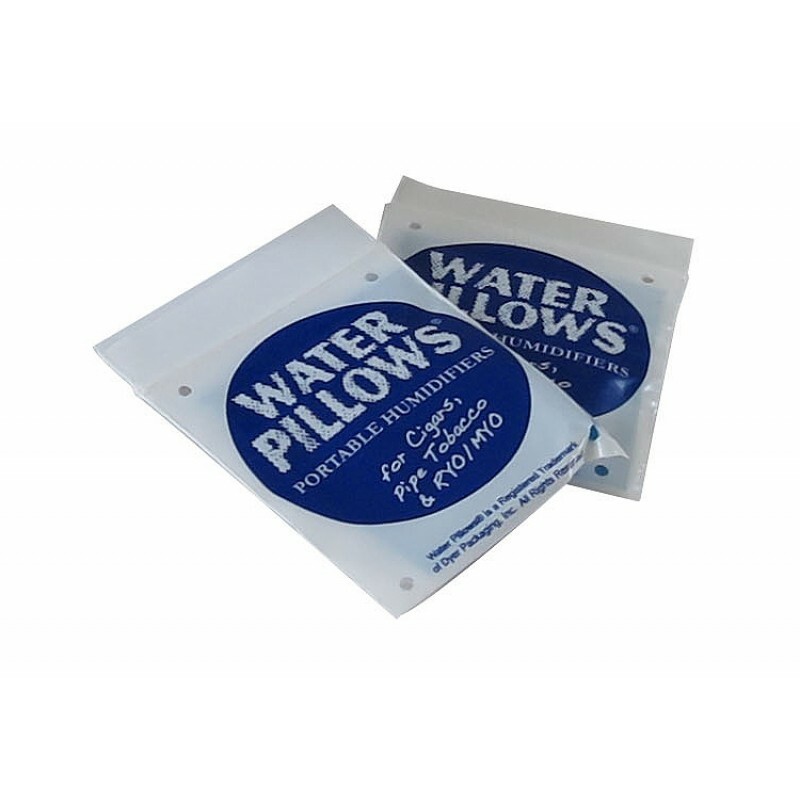 These also work wonderfully when placed into our point-of-sale Zip Lock Cigar Bags (perfect for cigar retailers). After a sale, simply place the customer's cigars into a Zip Lock Cigar Bag, toss in a single Water Pillow and seal! Cigars are kept at the ideal humidity level right in a carry away bag! Re-soak in distilled water as needed. Good for several several re-fills. 1 Pillow per 5 Cigars. 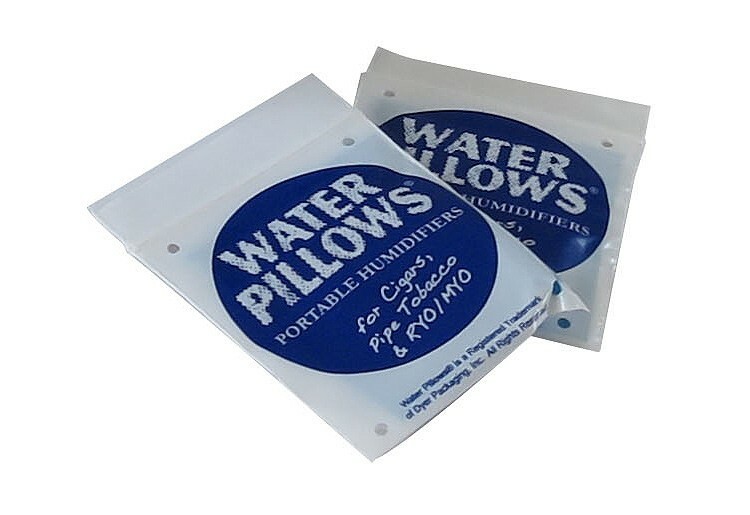 Water Pillows are available in packs of 10. Need more? Buy a few and save a little - buy a bunch and save a bundle! 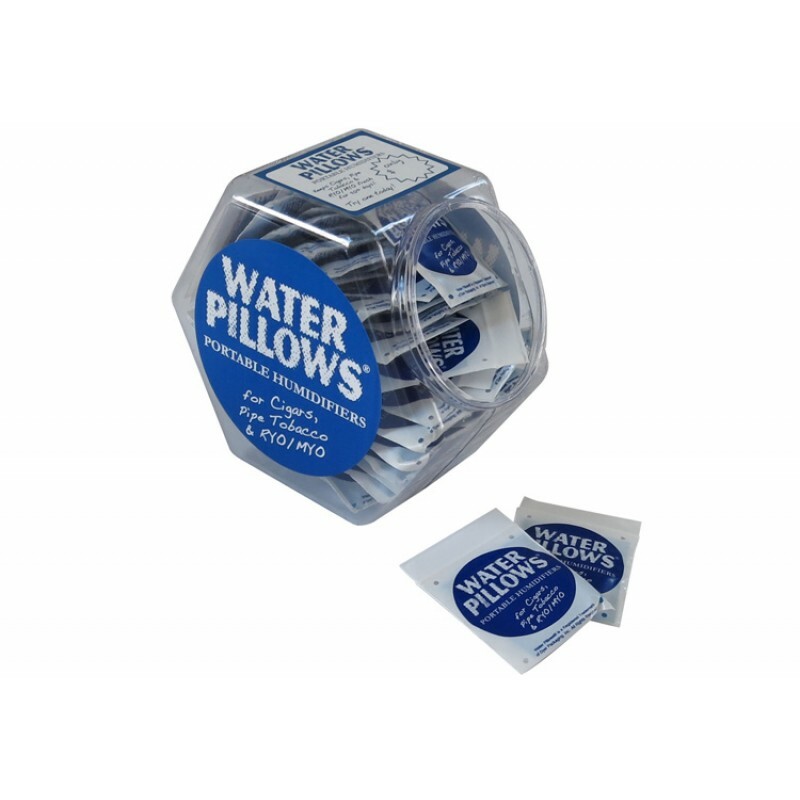 Buy 70 Water Pillows (Seven 10 packs), get a free counter display as shown.